The pace of recovery could quell criticism of Mayor Andrew Gillum in the final weeks of his campaign for governor. 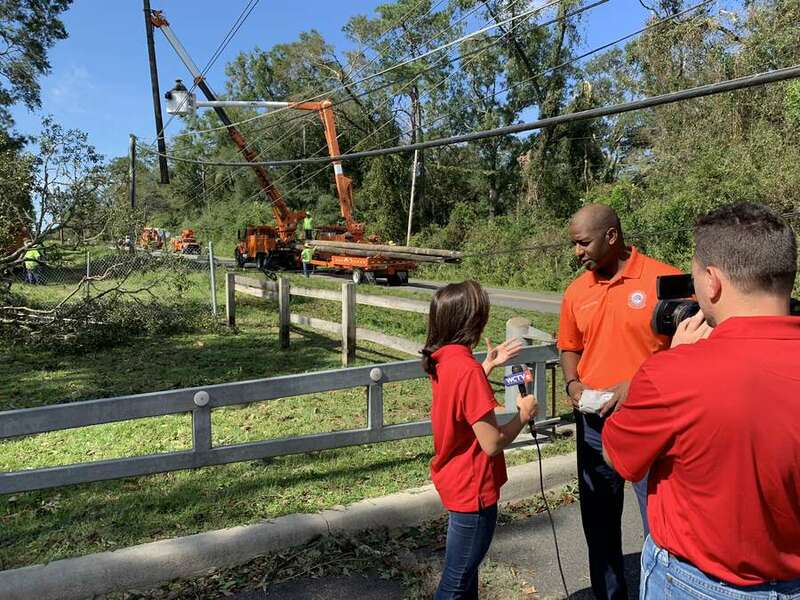 The City of Tallahassee is aiming for 90 percent of its customers to have power by the end of the weekend, a pace following the devastation of Hurricane Michael that could quell criticism of its mayor in the final weeks of his race for governor. If the city meets its goal, four days after the Category 4 storm made landfall about 75 miles away, it will match the pace of recovery from Hurricane Hermine, for which Mayor Andrew Gillum continues to be criticized. Hermine, a Category 1 storm that did less damage, knocked out power to 80 percent of the city's customers and also took the city four days to restore power to 90 percent, the Tallahassee Democrat reported at the time. More than 92 percent of city customers have lost power from Hurricane Michael. In the aftermath of Hermine, many Tallahasseeans were furious with how long it took the city to recover. County Commissioner John Daily, who is now running to replace Gillum as mayor, was livid five days after the storm. He was part of the 10 percent who still didn't have power. "We don't have power," Dailey said at the time. "We're frustrated. We're angry. We want answers. We're not getting answers. This is ridiculous." Gillum, who publicly sparred with Gov. Rick Scott about the city's recovery from that storm, pushed back against criticism but acknowledged there were problems. "Without a doubt, we've not been perfect in this process," Gillum told the Tallahassee Democrat at the time. 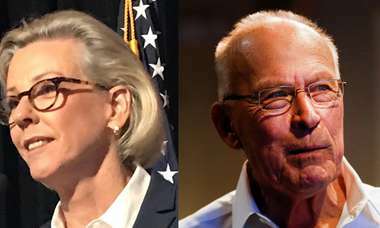 Gillum's opponent for governor, Republican Ron DeSantis has used Tallahassee's response to Hermine to question whether Gillum is fit for governor. The Republican Party of Florida has aired ads about Gillum's response to the hurricane even as Hurricane Michael bore down on the coast. "Utility companies lined up trucks to restore power," one RPOF ad says. "But as mayor, Andrew Gillum refused help from workers. The trucks just sat, while people suffered." Politifact called the ads "mostly false." The city did turn down some help from Florida Power & Light after Hermine, but as mayor, Gillum had little control over that decision. Tallahassee's city manager runs the city and oversees the head of its electric utility. This year, Gillum said the city was able to call on hundreds more electrical workers from as far away as Nebraska, thanks to new agreements with private utility companies. Gillum has been frenetic in the days before and after Hurricane Michael, making more than a dozen national TV appearances, filling and delivering sandbags and using a chainsaw to chop up downed branches — sometimes with a cameraman from a company employed by his campaign shadowing him.